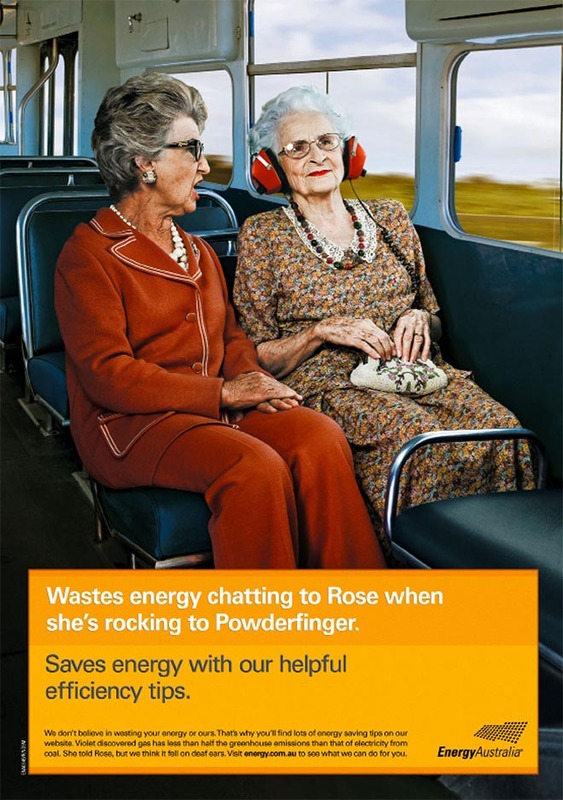 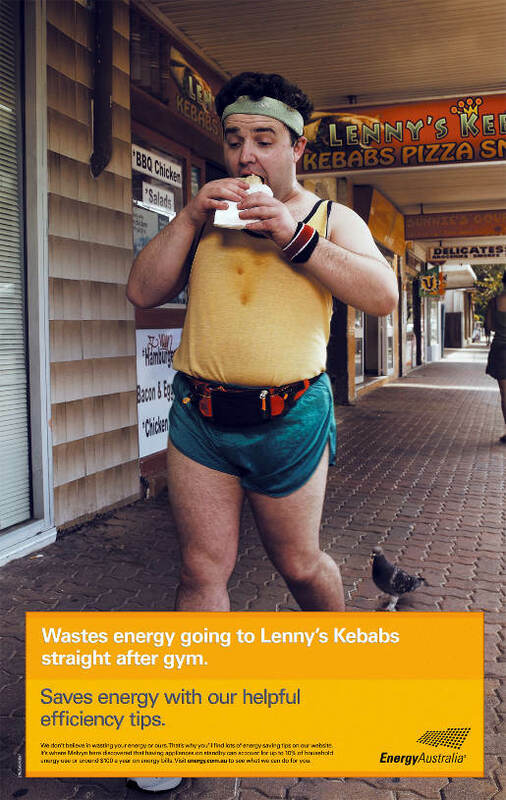 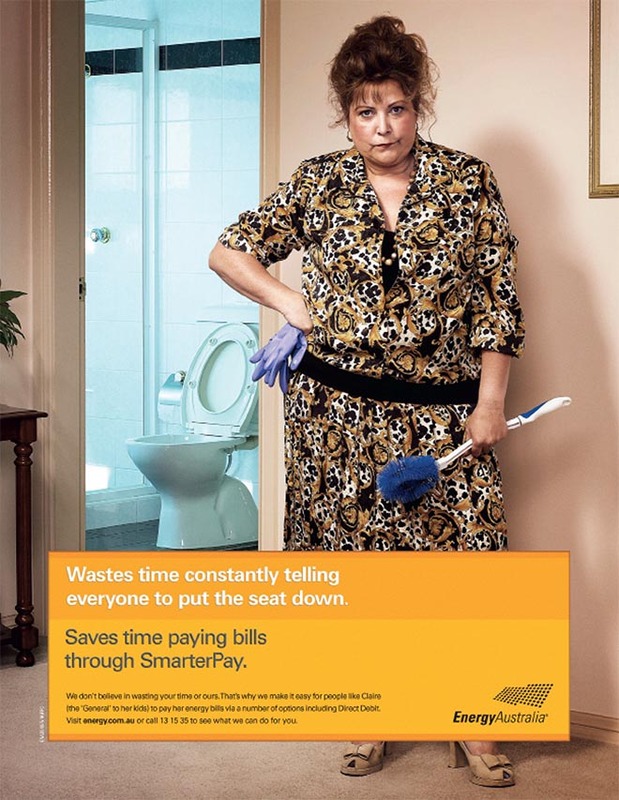 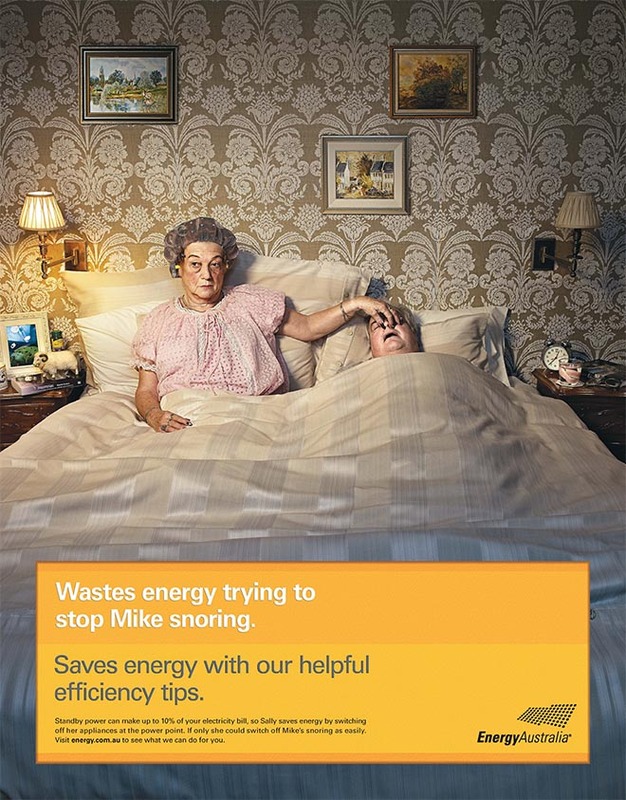 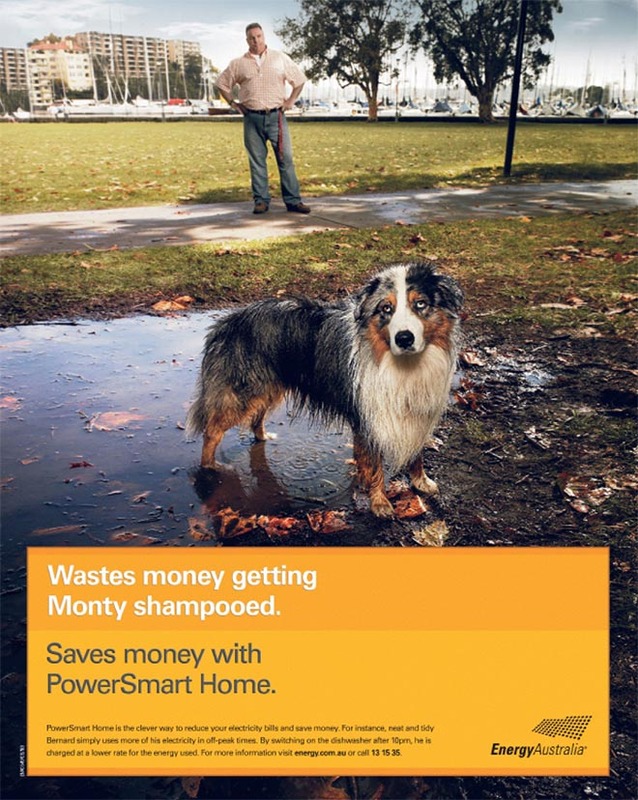 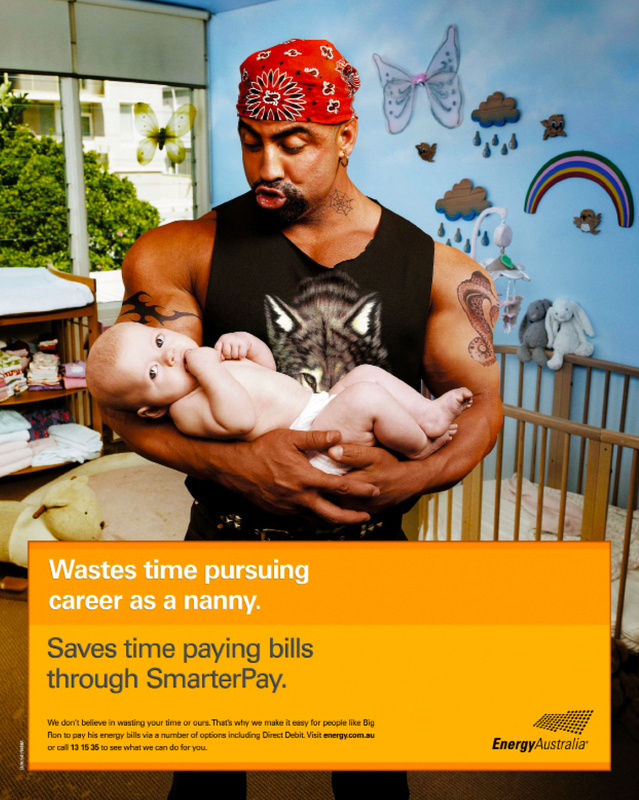 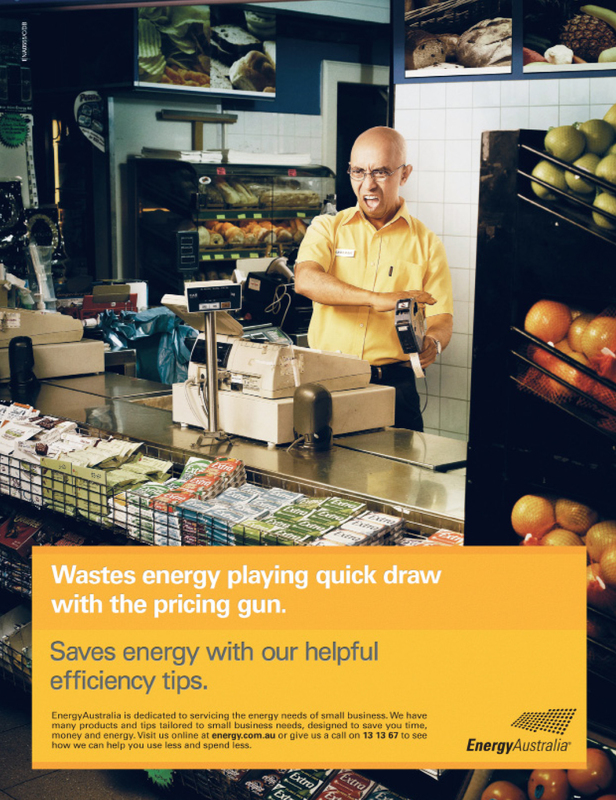 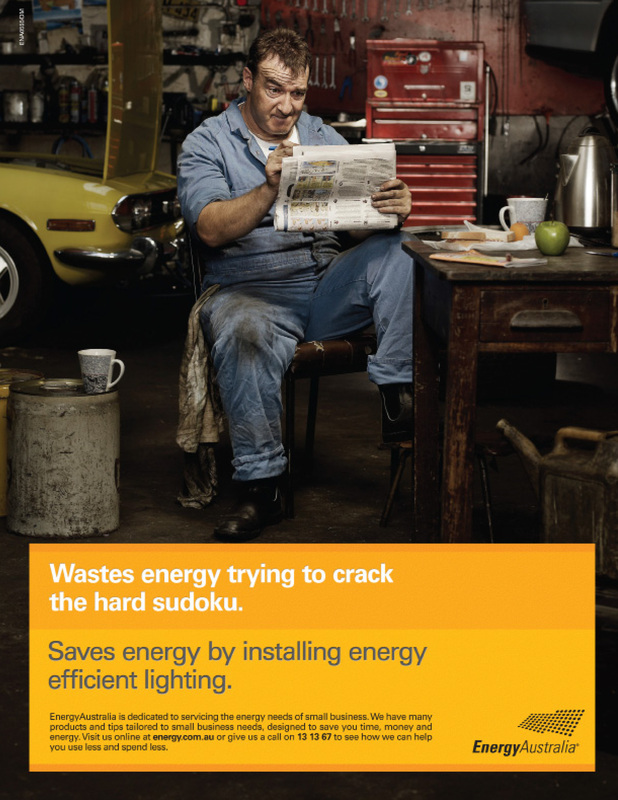 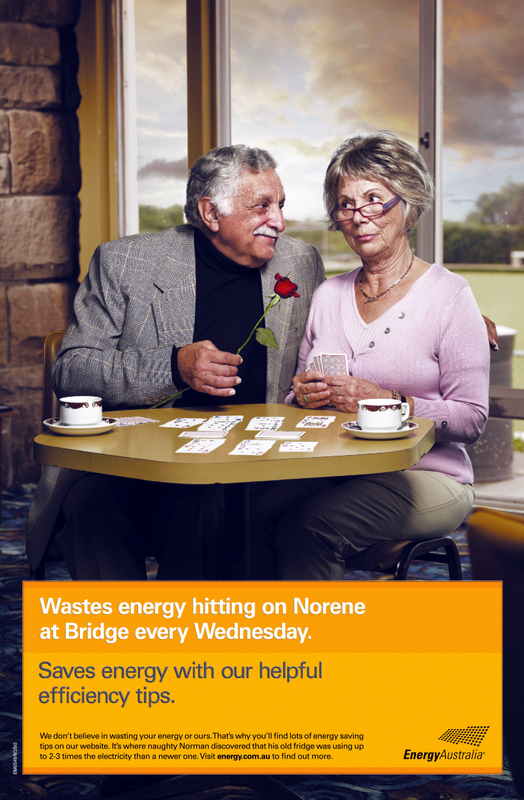 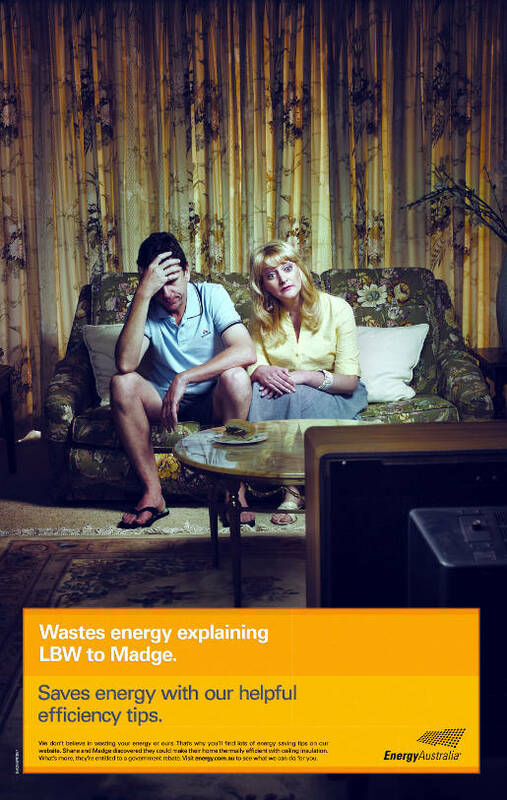 Energy Australia has launched another phase in their “Wastes Energy/Saves Energy” campaign, with new humorous print, television, cinema, outdoor, print and online ads showing the ways people waste their energy. 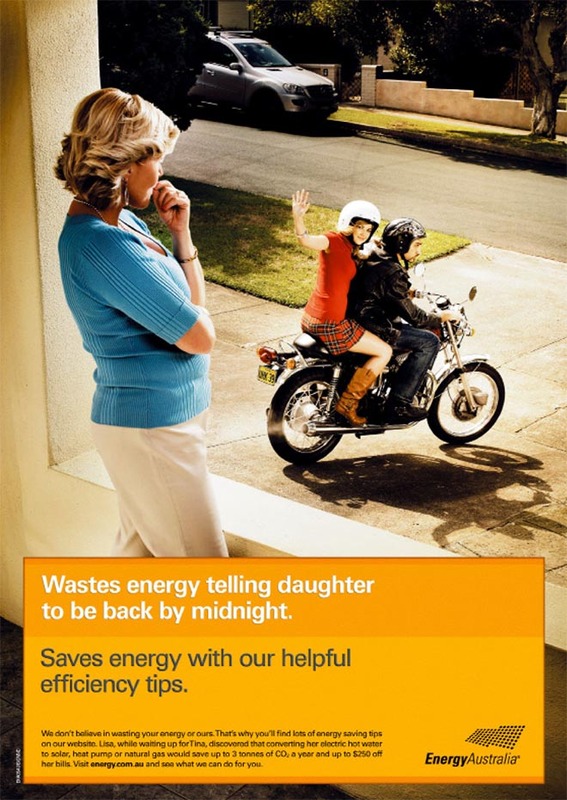 This integrated campaign was begun in March 2009 and has continued with instances of people who are wasting their energy. 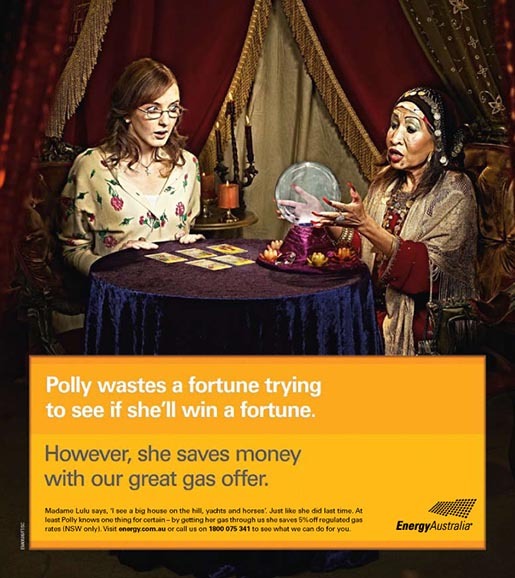 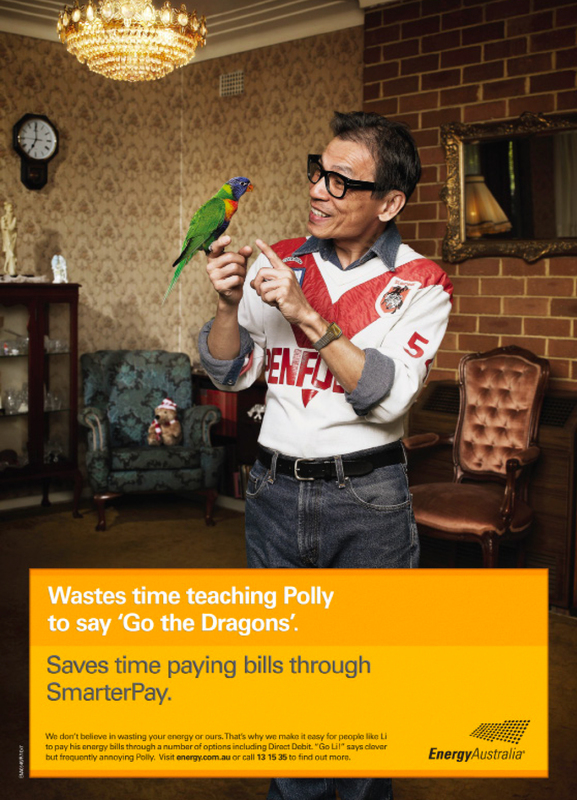 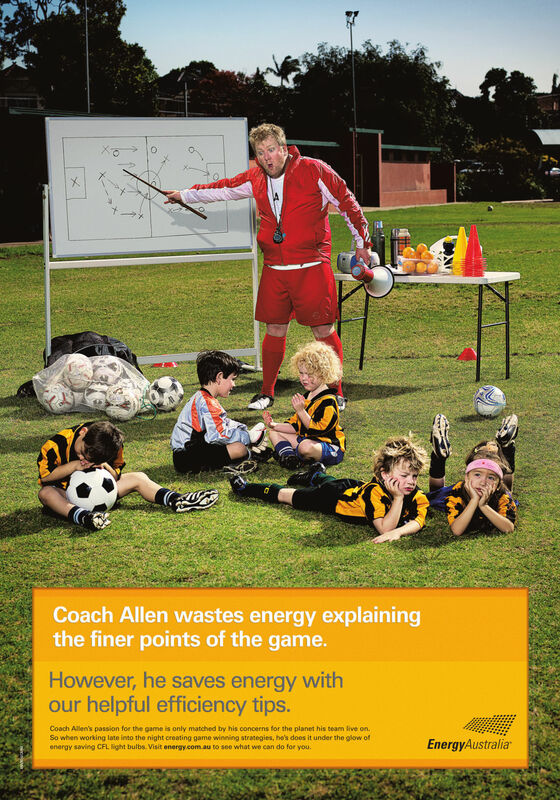 Click on the image below to see Energy Australia’s recent TV ads, Soccer Coach and Parrot, or continue on down the page to see a range of the company’s print ads for 2009. 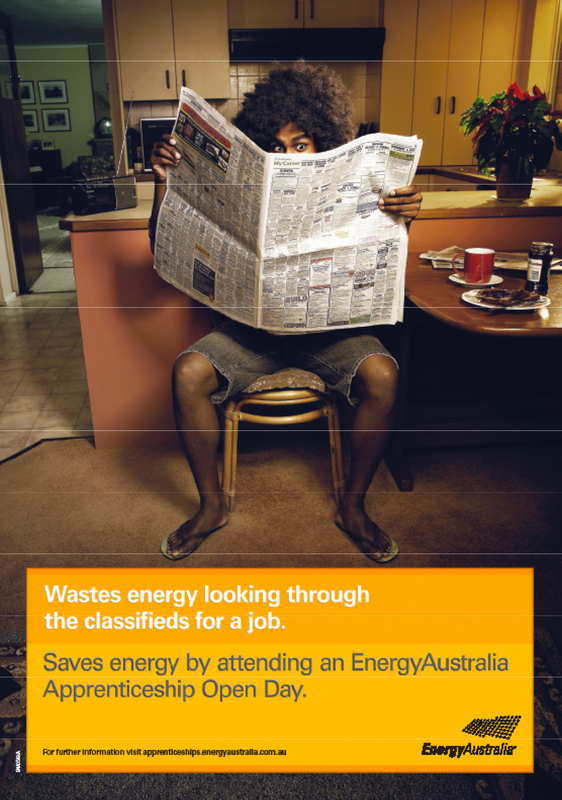 The Wastes Energy campaign was developed at Leo Burnett Australia, Sydney, by Andy DiLallo, Jay Benjamin, group head/copywriter/art director Gary Dawson, copywriter/art director Tim Green, agency TV producer Rita Gagliardi, agency print producer Jo Hoskin, account team Paul Everson, Alice Smith and Amanda Groom. 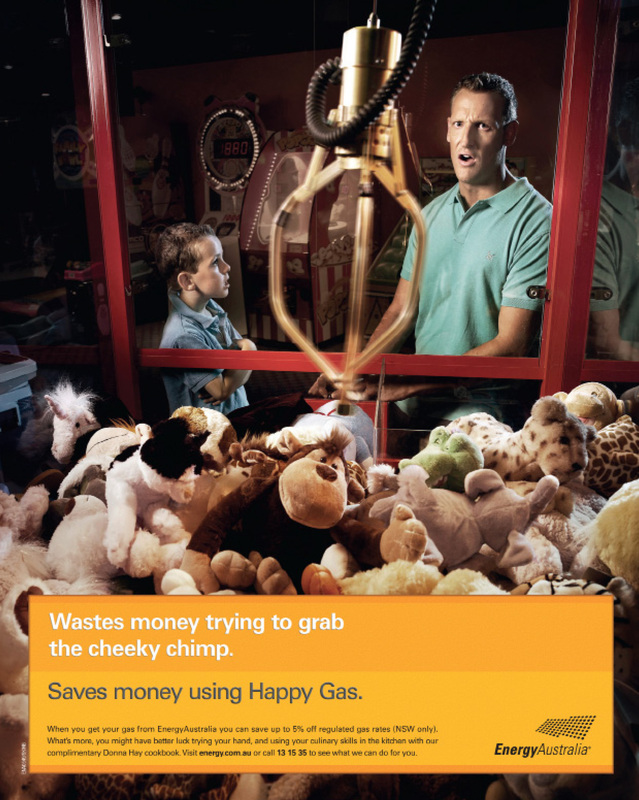 Filming was shot by director Dave Klaiber via Plaza Films with producer Suzanna Dilallo.